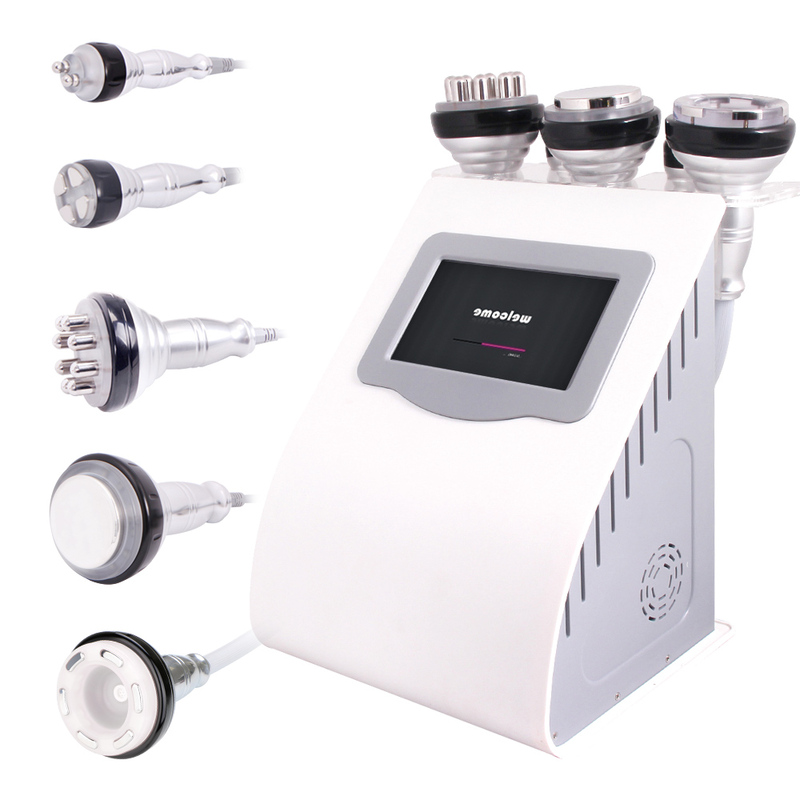 Quadrupole Facial RF head capacitive coupling electrode is used for transmitting radio-wave energy and generating an electric field for entering into subcutaneous tissue through the skin surface. In the high-frequency of 450khz, this electric field changes its polarity for 450,000 times per second. To reply to the rapid change in electrode, directions of electrical particles the skin are also changed. By this time, natural electric resistance in the subcutaneous tissue moves and generates heat energy. As thepapillary dermis collagen may immediately shrink when the temperature is within the range from 60 to 70 Celcius degree, after wrinkle treatment, client may immediately sense the skin tightening effects as it is being lifted and firmed. When collagen is produced continuously, thickness and density of the skin papillary dermis may be increased to remove wrinkles, eliminate scars, restore skin elasticity and gloss and make it be blonde and smooth. While collagen is increased, fresh skin is generated in the position of operation and wrinkles are removed by large amount of cells. In addition, when cortex without elasticity or that with thick horny layer in the area with wrinkles is separated, surrounding skin will also be renewed. A Bipolar facial lifting is a non-surgical, non-invasive cosmetic technique that safely and effectively improves the health and appearance of the skin. A Bipolar facial lifting uses technologies developed in the medical and physiotherapy fields to activate the skin's natural chemicals responsible for health and vitality. A Bipolar facial lifting provides satisfying aesthetic results with less risk of side effects compared to a traditional face lift. The Bipolar facial lifting procedure is proven safe and effective, delivering results at a fraction of the cost of traditional procedures.